This is a classic case of spending a long time looking for a great black t-shirt, and two coming along at the same time. 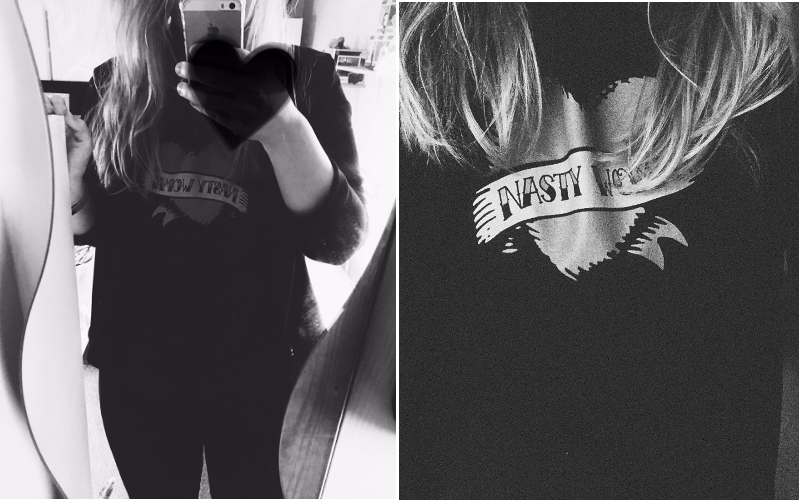 The nasty woman tee was a redbubble purchase pretty soon after the US election results and I'm going to wear it with pride. Then I was in Primark after watching Fantastic Beasts and feeling pretty bloody magical so I couldn't stop myself picking up a Hogwarts Alumni tee, which I've forgotten to photograph, and walking merrily to the till. You know, it's a really good thing that I'm only collecting Harry Potter related pops because I now completely understand anyone who has a whole room in their home dedicated to their collection of these little plastic figures. Dobby in pop form is a little creepy but my collection wouldn't be complete without him. I also recently got Professor Snape, who I keep referring to as Snap after seeing this HP meme the other day and chuckling all afternoon. 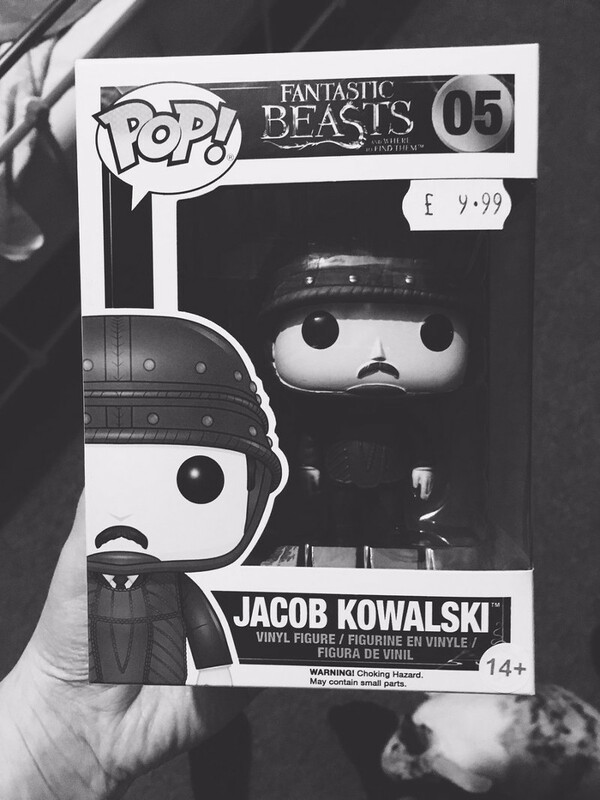 Finally, after I saw Fantastic Beasts earlier in the week, I immediately skipped to Forbidden Planet to buy Jacob because he. is. everything. I was in TK MAXX a few weeks ago and when I'm there I always like browsing their book section because they tend to have quite an unusual selection. Amongst the typical selection of cookery books I came across a copy of The Shakespeare Book, which breaks down each play into easy to understand sections. Shamefully my knowledge of Shakespeare is very limited so I'm looking forward to expanding my Shakespearian horizons. Coriolanus is also on my MA reading list so I think I'll be grateful to my past self for purchasing this when that study block rolls around. A Most Magical Girl has a truly beautiful cover and I'm hoping that the story inside is packed full of magic and adventures that will be perfect to read on a chilly afternoon at some point next month. I'm also looking forward to reading The Thornthwaite Betrayal, after I finally finish my essay, because it sounds like it's going to be a riot. During the same TK MAXX trip that brought The Shakespeare Book into my life I found a beautiful sun, moon and star wind chime, and I couldn't leave without it. Anything that looks like it could be found at the back of one of Albus Dumbledore's dusty cabinets completely embodies my aesthetic and I don't think it was more than £8 or so. Growing up I absolutely adored the Mr Men and Little Miss books by Roger Hargreaves, which means that I immediately think that being able to buy personalised Mr Men things is pretty exciting. I was given the chance to choose a few items and I opted for three magnets and a Mr Bump tote bag because Mr Bump is my favourite Mr Man. I got a magnet each for Mark and myself, as well as one for my mum's dog Mister Bailey as Mr Nosy because he has the biggest pup nose we've ever seen. I'm so impressed with the quality of everything that I've since made another order for some pieces that are going to make excellent Christmas gifts! After reading endless positive reviews of the Too Faced Born This Way Concealer, it was only a matter of time before I finally got around to trying it for myself. The shade 'Extra Fair' is a pretty great match for me, the formula is nice and the coverage is pretty good. It's certainly a nice concealer that I will continue to use, but I'm not sure that I'm head over heels for it and it isn't the perfect replacement for my favourite Seventeen Stay Time Concealer. My skin is in for a treat now that the Tropic Skin Care Super Greens Serum is part of my nightly routine. Tropic are a cruelty free and vegan brand, believing in pure ingredients and honest labelling. This serum in particular is packed full of nourishing oils to hydrate, calm and protect the skin. I've been using oils regularly in my nightly skincare routine for around a year now and this serum feels incredibly luxurious. They encourage you to massage the serum into your skin for at least a minute, which is beyond relaxing and the perfect way to end a busy day. So, I have absolutely no idea how I ended up on the Urban Decay PR list, but two beautiful palettes arrived last week and I'm certainly very grateful. I don't buy a lot of make up anymore and I'm generally quite out of the beauty loop in many ways, so these were a lovely surprise. The Vice Lipstick Palette is a thing of beauty. I'm not yet sure whether I'm going to keep it for myself or give it to my boyfriend's mum, but either way it will get a lot of use and will be very well loved. Despite its beauty I already know that I won't use the Full Spectrum Eyeshadow Palette nearly enough to justify keeping it, so I'll be doing a little holiday giveaway sometime in early December and I hope it finds a home where it will be thoroughly enjoyed. Have you bought any new things recently? Thoughts on designer handbags, specifically the Stella McCartney Tiny Tote, written at 3am when I should have been sleeping but couldn't because I was too busy thinking about the joys and uncertainties of frivolous purchases. Beginning my early teens wearing tracksuit bottoms and baggy jumpers, eventually shunning trousers in my late teens and early twenties in favour of floral dresses and pastel cardigans, I now only ever wear black jeans and plain tees so it's clear to see that I'm no fashion connoisseur. Despite this however, designer handbags still seem to have a certain allure for me that I can't quite explain. Over the years I've found myself looking at the usual suspects; Saint Laurent, Chloe and Chanel, but my desires for them always seem to have been nothing more than passing phases. 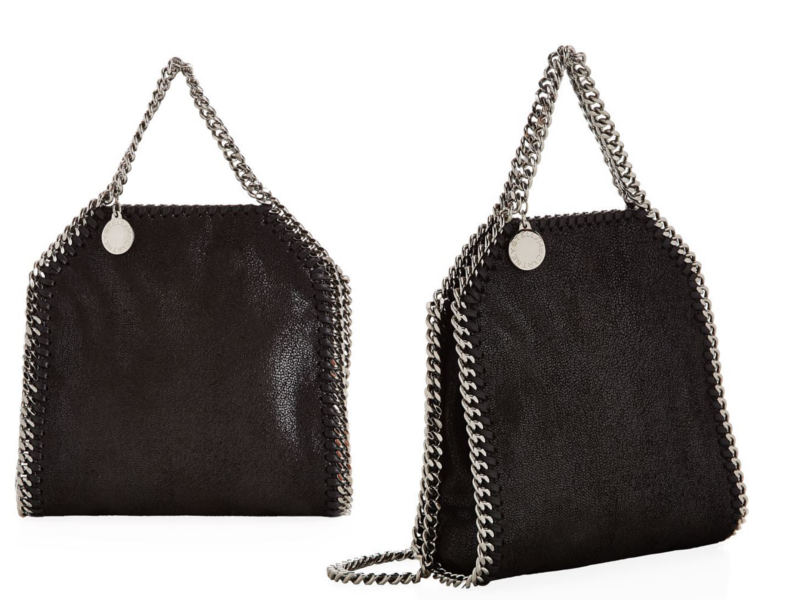 For now my intrigue is currently set firmly in the direction of the Stella McCartney Falabella Tiny Tote. On paper it's perfect; it's small, it isn't made from leather and, although certainly expensive, it's not wildly unattainable. It would take a fair amount of time to save up for something so frivolous and yet, when the day finally arrived, I know myself well enough to already know that I would like seeing that number in my savings account too much to hand over my card. Perhaps a mixture of feeling that I don't deserve it, although I don't think I believe we have to earn something beyond completing the physical act of saving for it because that in itself is surely enough, and concern that the allure is firmly situated in the feeling of longing and not actually in the experience of owning and enjoying something that I didn't need but, for some reason, wanted to have. The bulb in the streetlight outside our house have been out for a little while now. And you know how it goes, it's one of those things that you tell the council about and they tell you that they'll look into it. I wonder how much it costs to send someone out to change the bulb? I wonder how much of their severely underfunded budget goes into changing all the bulbs that go out each year? If I had a tall enough ladder and was sure not to break anything I'd get up there and change it myself. Alas, that's not what I came here to write. And it's not really important. I quite like the darkness. I stepped outside on the evening following Hillary Clinton's thoughtful, graceful and measured concession speech. They were repeatedly showing clips on the news but I had already cried enough for one day and I needed some air. There's a shadowy nook between our home and the gate to our garden, where I sometimes retreat to at night if I need to get some quality thinking-air-quiet time in. 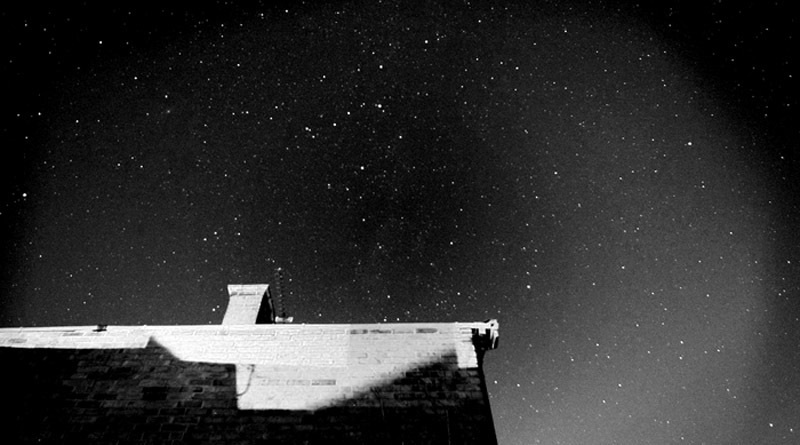 I looked up and the void left by the usual warm glow from the streetlight revealed a skyline full of stars, cascading as far as I could see in every direction. I could see more tiny illuminated specks dotted against an inky blue canvas than I have ever seen all at once before. And so I suppose this is about noticing the small things. It's about appreciating the things in life that are constant, amid whatever is changing so drastically elsewhere. It's about stepping outside to clear my mind. To breathe in some fresh air that can somehow heal a tiny part of me, even if it's just for a moment. And instead of wasting too much time feeling ashamed of all the things I haven't done but should have, it's about mustering the courage to think about how I'm going to spend more time standing up for the things I believe in. It's also so much more than that. It's about giving myself permission to feel scared, or sad, or overwhelmed. It's about looking out for other people, and making sure they feel safe and loved and wanted and welcome. It's about finding ways to be kinder than is necessary and empowering others to share their thoughts and collectively figure out how to make this better. And I can't say exactly where I'm going with this because the truth is I have no idea, but I think it is ultimately about finding little slivers of light in the darkness, and holding on to them tightly.